The Amity Spartans Boys Cross Country Team participated in the Amity Cheshire-Shelton Duals at the Fitzgerald Trail in Woodbridge on Wednesday, Oct. 10. Amity’s Connor Visnic placed second at 16:42, just 8 seconds behind first-place winner, Robert Dillon of Shelton. Amity defeated Cheshire 19-42, and was narrowly defeated by Shelton 27-30. Next up for Amity, SCC Championships, Class LL Championships, State Open and New England Championships. Good luck boys, keep up the good work! The Amity Varsity Boys Cross Country team only has one home meet during the 2018 season. Following is the season schedule as posted on the CIAC website. Friday, Aug. 31, vs New Fairfield scrimmage, away at New Fairfield HS at 6 p.m.
Wednesday, Sept. 12, vs Notre Dame-West Haven, Lyman Hall and Xavier, away at Notre Dame-West Haven at 4 p.m.
Saturday, Sept. 15, Suffern Invitational, away in Bear Mountain, NY at 9 a.m.
Thursday, Sept. 20, vs Guilford, Hillhouse and Sheehan, away at East River Preserve in Guilford at 4 p.m.
Tuesday, Sept. 25, vs Wilbur Cross away at East Rock Park in New Haven at 4 p.m.
Friday, Oct. 5, St. Anthony’s Invitational at Sunken Meadow, LI at 4 p.m.
Wednesday, Oct. 10, vs Cheshire and Shelton, Home at Fitzgerald Trail, Woodbridge at 4 p.m.
Saturday, Oct. 13, Manhattan Invitational, away at Van Cortland Park at 8 a.m.
Thursday, Oct. 18, SCC Championships, away To be announced at 1:30 p.m.
Saturday, Oct. 27, Class LL Championships, away To be announced at 10:20 a.m.
Friday, Nov. 2, State Open, away To be announced at 2 p.m.
Saturday, Nov. 10, New England Championships, away To be announced at 9 a.m.
Orange Live will post the team roster as soon as it becomes available. Amity High School students return to school on Wednesday, Aug. 29, but the athletes already are hitting the fields and courts. 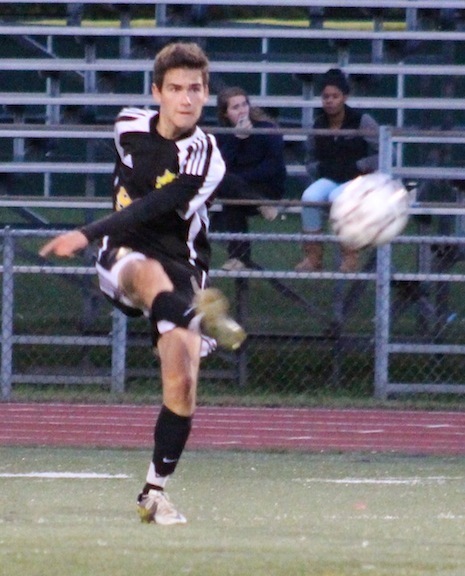 Boys Soccer vs Trumbull scrimmage game at Amity High Field 3 at 4 p.m. Girls Soccer vs Trumbull scrimmage game away at Trumbull Turf Field at 4 p.m.
Football vs Oxford scrimmage away at Oxford High Turf Field at 4:30 p.m. 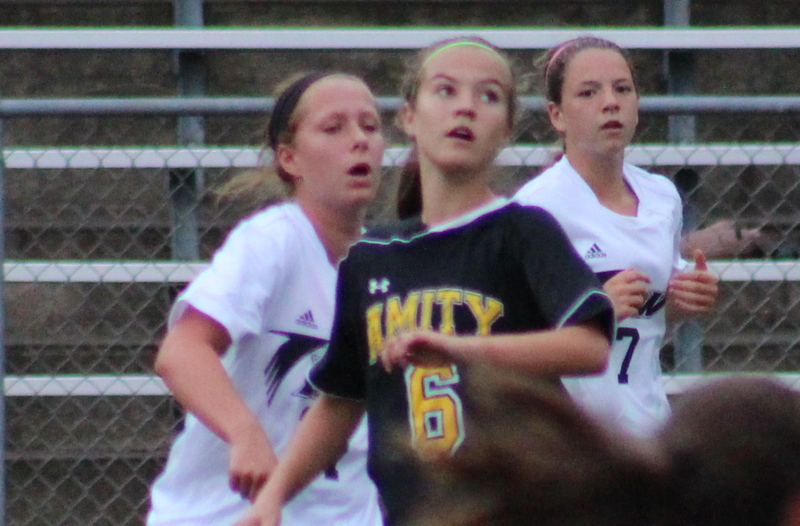 Girls Soccer vs Guilford scrimmage at Amity High Field 3 at 4 p.m. Boys Soccer vs Hopkins scrimmage at Amity High Field 3 at 4 p.m. Girls Volleyball vs Trumbull scrimmage away at Trumbull main gym at 4 p.m. Boys Cross Country vs. New Fairfield scrimmage away at New Fairfield at 6 p.m. Boys Soccer Amity Jamboree at Amity High at 9 a.m.
Field Hockey New Fairfield Jamboree Away at New Fairfield HS at 9:00 a.m.
V Girls Soccer Shelton Jamboree Away at Shelton High School at 8:00 a.m. This week’s Amity Varsity Sports Schedule includes all of your favorite teams. Boys Soccer on the road in New Milford at 4 p.m.
Field Hockey in Hamden at 6 p.m.
Girls’ Volleyball at home vs Shelton at 5 p.m. 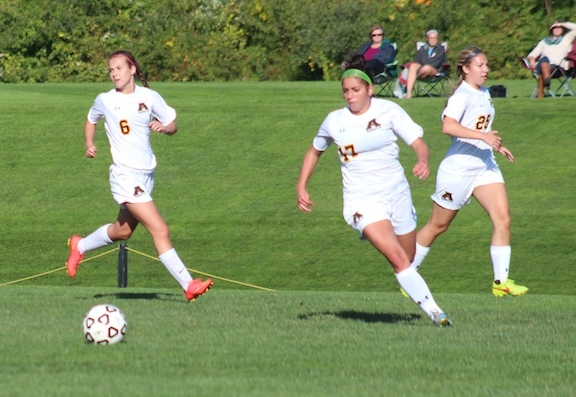 Girls Soccer hosts Simsbury in Woodbridge at 2 p.m. Girls Swimming and Diving State Diving Championships Away at Middletown High School at 5:30 p.m.
Unified Sports Soccer Tournament at Wilby High School – Waterbury at 3 p.m.
Football vs Hamden at Amity 7 p.m.
V Girls Swimming and Diving State Swimming Trials at East Hartford High School at 11:30 a.m.
V Girls Swimming and Diving State Swimming Finals at Wesleyan University at 7 p.m.
V Girls Swimming and Diving State Open Diving at Middletown High School at 5:30 p.m.
V Girls Swimming and Diving State Open Swimming at Yale 12:00 p.m.
And, of course, don’t forget the annual Powder Puff Football Game vs North Haven In North Haven on Monday, Nov. 20 at 6 p.m. Following is the Amity Varsity Sports Schedule for the coming week. Home competitions denoted in Bold. V Girls Swimming and Diving v. Sheehan Away – Sheehan HS Pool 5:00 p.m.
V Girls Volleyball v. Daniel Hand Home – Paul D. Mengold Gymnasium at Amity Regional High School 6:00 p.m.
V Boys Cross Country v. Fairfield Prep Home – Fitzgerald Trail – Woodbridge 4:00 p.m.
V Girls Cross Country v. Lauralton Hall Away – Eisenhower Park 4:00 p.m.
V Field Hockey v. North Haven Away – North Haven Athletic Complex 3:45 p.m.
V Girls Soccer v. Daniel Hand Home – Amity High School – Field # 3 4:00 p.m.
V Boys Soccer v. Daniel Hand Home – Amity High School – Field # 3 4:00 p.m.
V Field Hockey v. Lyman Hall Home – Amity High School 4:00 p.m.
V Girls Soccer v. Shelton Away – Shelton High School Finn Stadium 7:00 p.m.
V Girls Swimming and Diving v. Lyman Hall Home – Orange Community Center Pool 7:20 p.m.
V Girls Volleyball v. Foran Away – Edna L. Fraser Gymnasium 5:00 p.m.
V Football v. Fairfield Prep Away – Rafferty Stadium, Fairfield University 6:00 p.m.
V Girls Soccer v. Hamden Away – HHS Turf Field #1 5:00 p.m.
V Girls Volleyball v. Lyman Hall Away – Lyman Hall High School Gymnasium 5:15 p.m. This Friday they will compete for the State Open Finals, which Amity has never won, but this is a very special team, if any group of young men can do it, it will be them. 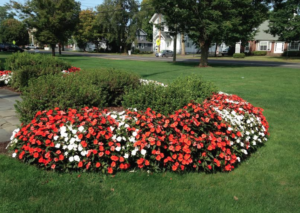 The location of the Lyman Hall multi-opponent Varsity Boys Cross Country meet, which includes Daniel Hand, Jonathan Law and Amity on Tuesday, Sept. 24 at 3:45 p.m. has been changed from Wharton Brook Park to Hand. The Amity vs. Shelton Varsity Girls Soccer game scheduled for Tuesday, Oct. 8, has been changed to Monday, Oct. 7, at 7 p.m. at Shelton High School’s Finn Stadium. 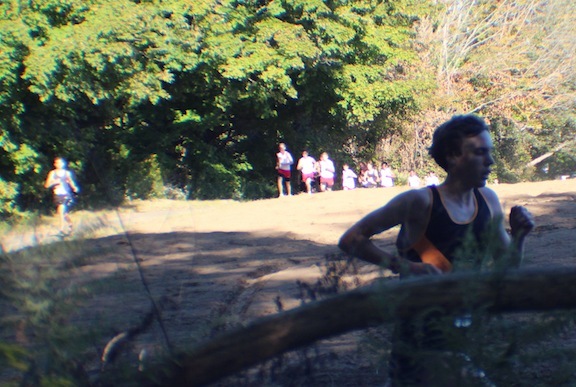 For the fifth consecutive season, the Amity boys’ cross country team has won the Southern Connecticut Conferences’ Housatonic Division championship. The Spartans won Crown No. 5 last week when they raced past Cheshire (15-47) and Shelton (15-50) at the Fitzgerald Trail in Woodbridge. Coach Bob Orgovan admitted that he was not really surprised to see his boys defeat Cheshire and Shelton but was surprised by the magnitude of the two wins. Shae Belenske led the victorious Spartans as he completed the three mile course in 16 minutes, 11 seconds. Brian Dunleavy was next across the finish line with a time of 16:21. Following them were Anthony Barletta (16:30), Connor Dunleavy (16:31), and Michael Yuan (16:37). The Spartans end the dual meet portion of their schedule with an 8-1 record (4-0 in Housy races). Orgovan proudly pointed out that there was only a 26 second gap between his No. 1 and No. 5 finishers. He also revealed that the Rams’ top runner did not participate in the race but had no idea why he did not run. He also acknowledged that his boy s swept the top five slots. “Shae has been our top runner all season and Michael Yuan has been No.5 but we have lots of switch in the three other slots. Everyone improved an equal amount, so no one stood out above the others in this race.” Orgovan added. 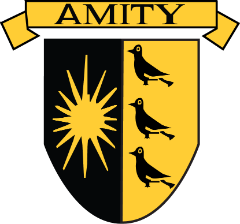 Amity (currently ranked No. 4 in the current state poll) has now turned its attention to Thursday’s SCC Championship race, which will held at Hammonassett State Park in Madison, starting at 3:40 p.m. Orgovan tabbed Cheshire as the team to beat and felt that Fairfield Prep, Xavier, and his Spartans should all finish among the top four teams. 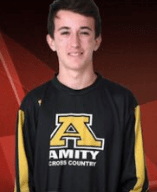 The Amity boys cross country team opened its dual meet season Thursday with Southern Connecticut Conference victories over Guilford (22-38), Jonathan Law (15-50) and Sheehan (15-50.) The quad meet was run on Guilford ’s three mile Middle School course. Shae Belenski won the race in 16 minutes, 58 seconds. Trailing him across the finish line by only one second was Guilford’s Tim Kenofick. The Spartans’ other top runners were: Aaron Barkin (3rd—17:14), Connor Dunleavy (5th—17:33), Brian Mosher (6th—17:34), Michael Yuan (7th—17:34), Brian Dunleavy (8th—17:35), and Alex Hart (10th—17:57). “I thought we ran well,” Orgovan said. “I know we ran better than we did in our previous race at the Windham Invitational. Freshman Matt Arovas won the junior varsity race in 18:45. Amity hosts Branford, East Haven and Lyman Hall in another SCC quad race on Monday at 4 PM on its Fitzgerald Trail course in Woodbridge .